This is the last week of the school holidays for us, so we thought it would be nice to have a couple of last days out, before we have to start being all sensible and going to bed on time. We were lucky enough to be able to review Bristol Zoo Gardens this week and we were also invited to attend a cruise of Bristol Harbour on board The Matthew. 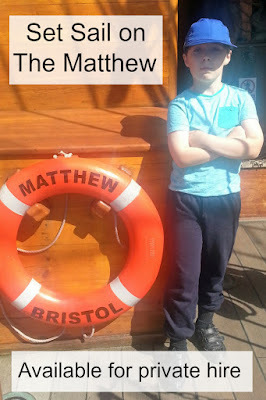 We have sailed on The Matthew once before, but it was a very short trip, due to bad weather, so we were really excited to find it was a beautiful day, when we were due on board. We've been so lucky this summer with the weather, I can't remember ever having so many consecutive sunny days and it has really meant we could make the most of the holidays. The Matthew that resides in Bristol harbour, is a perfect replica of the caravel ship, sailed by John Cabot in 1497 to Botswana. A caravel is a special type of sailing ship that was developed by the Portuguese in the late 15th century especially for exploring. The idea was, to make it as small as possible, to increase it's manoeuvrability around the coastline and, my goodness, they weren't kidding, it's tiny! This photo that L took from the upper deck, shows most of the main deck and it's impossible to imagine how they crammed an entire crew onto the ship, not to mention food and other supplies! 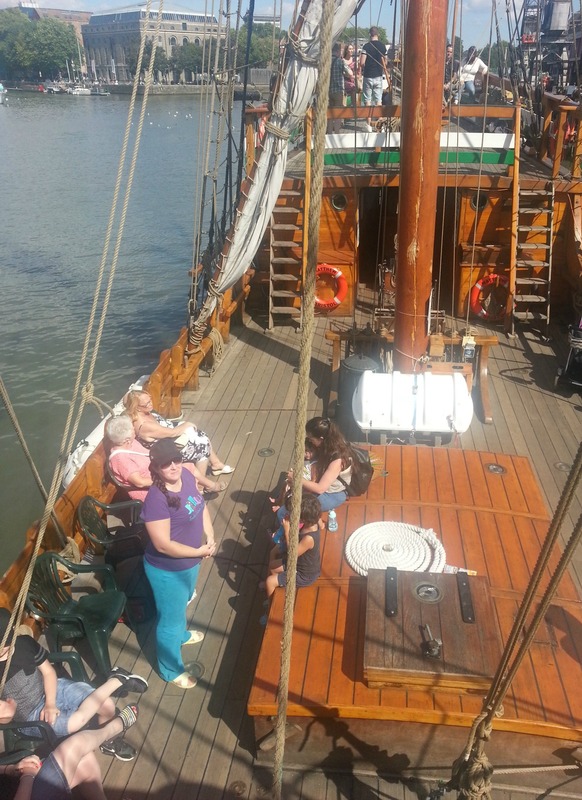 This replica of The Matthew was built to resemble the original as closely as possible and, like the original, she is considered large enough to carry 20 people, although, I imagine it would be pretty cosy, especially below deck! There is so much history to be discovered on this little vessel and the crew (all volunteers) are very knowledgable on the subject. When the ship was first built, in the late 90's, they actually sailed it to America! There are some modern additions to the vessel, mainly for safety reasons, but the shipwrights who built her stuck as closely as they could to the original design. The ship is often used in film and television productions, and can also be hired for parties and corporate events. There is no charge to visit the ship in port, and we've featured her previously as a free venue, in Bristol does Summer. 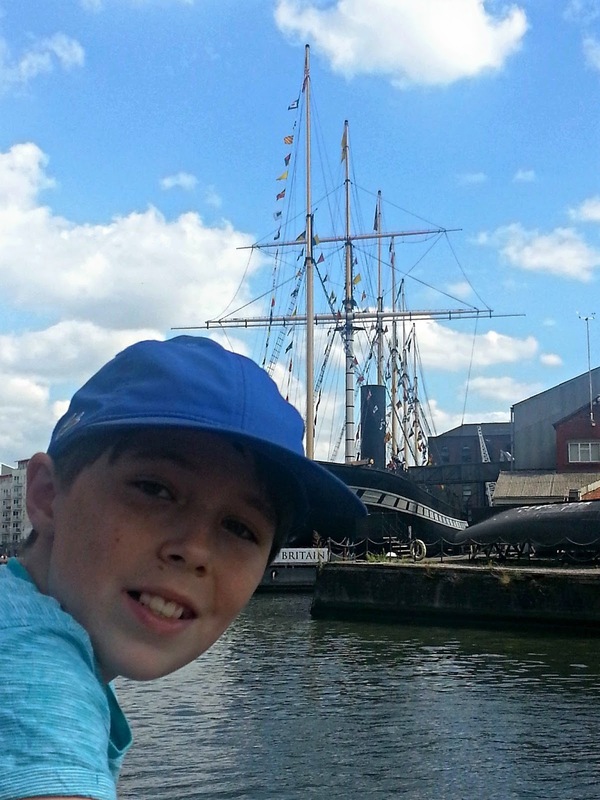 If you want to sail, there are various options for trips, including around the harbour, and along the Avon Gorge, starting at £12 per adult (£9 for concessions). We did the harbour trip and it was lovely. It took around 45 mins and gave a great view of all the boats moored along the harbour, including the SS Great Britain. You can sit on the upper deck, or on the main deck, and it's a very comfortable voyage! 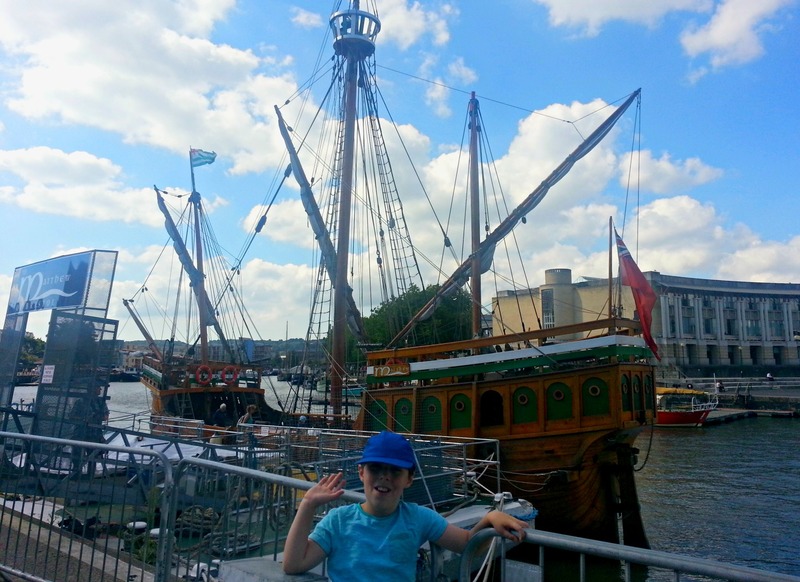 The trip offers a really unique view of Bristol and it's fascinating to imagine what it must have been like for the sailors setting off for the unchartered waters of the American coast. I've visited lots of historical vessels before, and it's always fun and entertaining. I love imagining being on the ship at the time it was originally built and being part of that history. Being able to actually sail on such a historical vessel is even more special and I highly recommend it as a fun activity, even if history isn't usually your thing! 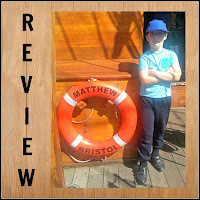 We were invited to attend the harbour trip on The Matthew for the purposes of this review, telling you lovely people all about it! This we will have to try to visit when we come to Bristol later in the month.